Ten-year-old Kadee Sterling has it all — a nice home, a happy life, and a loving family. Soon, though, she faces the biggest challenge of her young life: cancer. Are her family and her faith enough to help her survive? 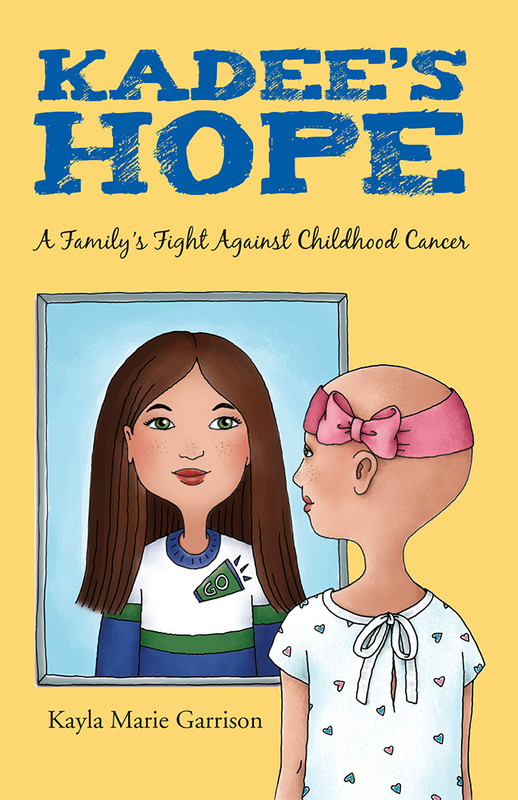 In authoring Kadee's Hope: A Family's Fight Against Childhood Cancer, Kayla Garrison has combined the two biggest passions of her life: writing, and fundraising on behalf of pediatric cancer treatment and research at Kosair Children's Hospital. Kayla started raising funds for the hospital when she was in the sixth grade. Now, at age 17, she makes frequent speeches to promote public awareness about childhood cancer and has raised over $21,000 for the Kayla's Rising Above Childhood Cancer Fund she established to benefit the Addison Jo Blair Cancer Center at Kosair Children's Hospital through the Children's Hospital Foundation. Driven by her faith, Kayla is committed to making a difference in the lives of others and hopes one day to work in the field of pediatric oncology. For more information, visit www.HelpKosairChildrensHospital.com.